Holii celebrates Women all month long with an exquisite limited edition silk scarf worth INR1500 free with every bag! brings out the true feminine panache of the Holii bag. Wrap it stylishly around your neck or tie it onto your bag, these silk lovelies are a must have this March. Choose from a range of handbags, wallets and clutches, you know there’s nothing not to love. Pick from a special range of bags from our exclusive Holii stores across India or shop online at www.holii.in. 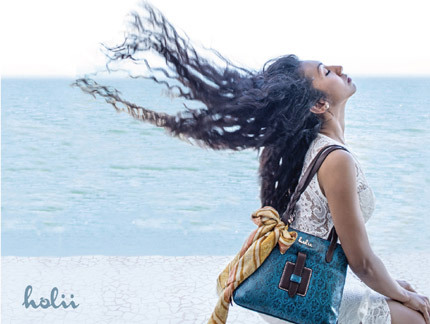 In a short span of five years Holii is proud to have made a name for itself as the original Indian bag brand. At present Holii is available through 17 exclusive boutiques across India, over 50 multi brand outlets like Central, Shoppers Stop etc., and on www.holii.in.